Since its beginnings in the late 50s, the space program has inspired countless people around the world to look to the stars and dream. 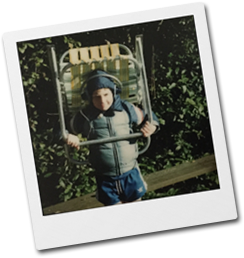 When I was a child I would clip articles from the newspaper about every Shuttle launch, and my brother and I would play as astronauts by wearing puffy snowsuits and motorcycle helmets, wearing a lawn chair as an EVA backpack. I wanted a set of Christmas ornaments that honored these explorers and pioneers who inspired me. Not able to find what I was looking for—clean, simple, and high quality—I designed my own. Once I had a complete set designed, I offered them on Kickstarter and was successfully funded. That support helped me launch this site. The wood and acrylic ornaments are laser-etched and cut, and the brass ornaments are photo-chemically etched. They come with a ribbon attached for hanging, and are delivered in a velvet bag for protection. I'm continuing to work on new ideas, so send me a note if there's a design you'd like. If there's a lot of demand for a particular item, I'm more likely to focus my work there.